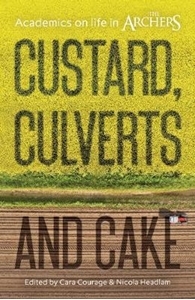 Leading scholars combine their love of The Archers with their specialist subjects, in Custard, Culverts and Cake - a sometimes serious, but most often wry look at the people of Ambridge. A group of Archers Academics take on subjects such as food, geography, social media, faith. There is, naturally, an entire section dedicated to the Helen and Rob storyline. With contributions from members of the Academic Archers network, the book blurs the line between fact and fiction - The Archers as a BBC soap opera, and Ambridge as a real place in a county called Borsetshire. Each chapter is `peer reviewed' by a different Ambridge inhabitant. Custard, Culverts and Cake gives the reader a deeper understanding of the real life issues covered in the programme, an insight into the residents of Ambridge, and validation that hours of listening to The Archers is, in fact, academic research.